Chymotrypsin 300 EAU. (14f.! Katals). Trypsin 300 EAU. (Sf.! Katals). 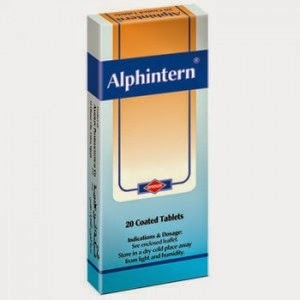 alphintern® tablets ensures best tolerance as well as best efficiency due to its absorption in the intestine only.